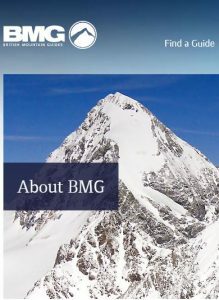 We are pleased to say that the British Mountain Guides (BMG) are once again making their expertise available to customers at the Lakeland Climbing Centre with FREE workshops, providing an opportunity to gain skills and insights into mountaineering. These workshops are on Saturday 17th of November to coincide with the Kendal Mountain Festival and places are limited so book early to avoid disappointment. Glacier ropework: learn how to rope up for glacial travel and prusik out of a crevasse. There will be two sessions on Saturday morning the first at 10.00 -11.15 and the second from 11.15 – 12.30 pm. Spaces available 8 on each session and 4 reserves per session. 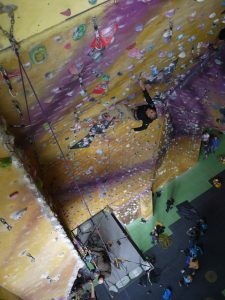 Dry tooling: Kendal Wall has developed a fantastic dry tooling facility. This is your chance to ‘have a go’ or develop those existing mixed climbing techniques under the watchful eye of Lakes based ice expert Adrian Nelhams. There are two sessions one at 10.00 – 11.15 and the second 11.15 – 12.30 pm. There are 4 spaces on each sessions and 4 reserves per session. The Big Wall Portaledge Experience: Jug lines and have fun setting up a portaledge on the Lakeland Climbing Centre’s Petzl main wall (25 metres) – steeper than many bits of El Cap and with cleaner toilets. You know it makes sense. There will be two sessions one at 10.00 – 11.15 and the second at 11.15 – 12.30 pm. Spaces available per session 2 and 2 reserves. You must be aged over 18 and registered with the centre as a competent and experienced roped climber. Theses workshops are free of charge, just pay your usual entry to the wall.